The Relentless Reader: Abandoned Walmart? New Library! Now that's a fab idea! 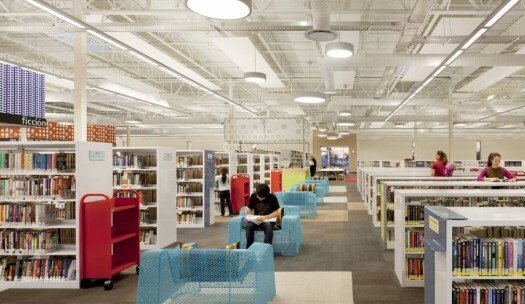 This abandoned Walmart in McAllen, Texas was redesigned and remodeled into a new public library. Library registration went up 23% afterwards...that's the best news of all! Nice blog! I'm a new follower! Excellent use of an unused building into something incredible! Reminds me of home when they converted the old grocery store into the new library. While I loved the wide open spaces of the new I missed the character of the old.